Groom skin care is a very important aspect before wedding in order to look good. Sometimes, the groom deserves more skin care than the bride, because men spend nearly 80 percent of the day outside the house in dust, pollution and dirt. Hectic schedule and lack of time, sometimes, does not allow men to take care of their skin. Now a days grooms are taking interest in making their skin clean and clear. So that it will glow and radiate, especially, on the day of the wedding. Today, grooms look beyond the shaving and just combing their hair. Companies are also taking challenges to develop new techniques and products in order to improve grooms’ hard, rough, and life-less skin. Skin care is an important aspect of men’s grooming. It’s important to take care of your skin. There are various ways you can pamper your skin. Here are some basic tips you can follow for that smooth and clear skin. Some of the basic things you can do with your skin are cleansing, exfoliating, toning and nourishing. There are some types of Groom Skin Care or techniques/ways which are very useful – cleansing, exfoliating, nourishing and toning. The most essential thing to do is to wash your face, twice or thrice, daily with a soap free moisturizing face wash which is very gentle on groom’s skin. To get that extra freshness you can use cold water. Groom Skin Care can also be done by wiping the skin with cleansing lotions (available in different brands). Exfoliating is the technique which removes dead cells. Toning is a technique, which is useful to keep the grooms’ skin firm and clear. Astringents and toners with glycolic or alpha hydroxyl acid work best to make skin firm. Groom Skin Care can also be accomplished by homemade facial, which contains some effective herbals, make skin better and glowing. It is important to drink 10 to 15 glasses of water daily to keep skin healthy. The first tip that you will get, in relation to skin care, would be to follow a proper cleansing routine. Wash your face at least two times in a day, with a face-wash that suits your skin type (dry, oily or normal). Make use of moisturizer on a daily basis. Every time you wash your face with soap, do not forget to apply moisturizer afterward. In this case also, you will need to get a moisturizer specifically meant for your skin type. Indulge in exfoliation of your skin on a regular basis, say once or twice in a week. It will help remove the dead cells from your skin, leaving it fresh, smooth and glowing. A good diet goes a long way in making your skin healthy. Make sure that your daily diet provides you all the essential vitamins and minerals. At the same time, increase the consumption of fresh fruits and vegetables. Do not overstress yourself, as this is bound to have an effect on your skin as well. Indulge in regular meditation, gets lots of rest and make sure to get 7-8 hours of sleep daily. Increase your daily consumption of water, taking it to at least 10-12 glasses. It will help flush out the toxins from your body and make your skin glowing and spotless. Stay away from the foods that contain too much oil or sugar. In other words, keep the consumption of high-calorie foods to a minimum. Stop smoking cigarettes, limit caffeine consumption and eat healthy food. Indulge in exercise, like walking, jogging, skipping or aerobics, on a regular basis. 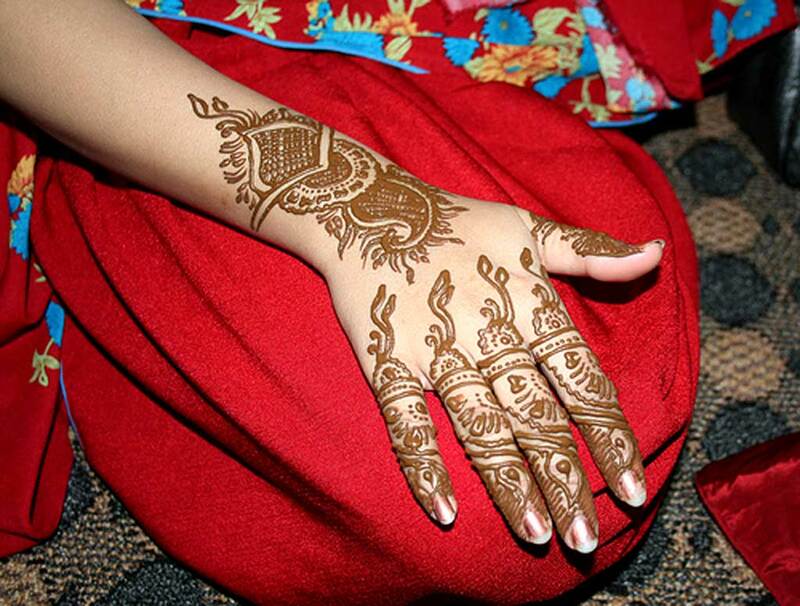 It will help make you fit for the wedding day and also improve the blood circulation, thereby benefiting your skin. Whenever you go out in the sun, make sure to wear a sun block, with an SPF of at least 20. Try to avoid harsh weather conditions, like glaring sun, pounding rain or thrashing wind. Before shaving, use a face-wash to clean your face. Thereafter, shave off the beard and wipe your face with a toner. Finally, dab a bit of after shave on the beard and moustache area. A few months before the wedding, start going for facials. Once in a month would be the ideal frequency for you. Do make sure to get at least one facial 2-3 days before the wedding.